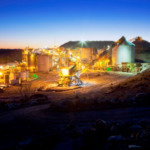 RNC Minerals has agreed to purchase Westgold Resources’ Higginsville gold operation near Norseman, Western Australia, for $50 million. Canada-based RNC plans to consolidate Higginsville and the company’s Beta Hunt operation to increase its output while also lowering operational costs. RNC made headlines at Beta Hunt last September with a record discovery of two gold stones that contained a combined 4060 ounces. 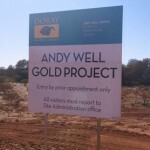 The company will pay Westgold $25 million in cash (including a non-refundable $4 million exclusivity deposit) and $25 million in shares to secure the acquisition. Higginsville hosts a measured, indicated and inferred resource of 33 million tonnes at 1.97 grams of gold a tonne for 487,000 ounces. 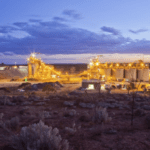 The company’s divestments over the last year include the sale of its South Kalgoorlie operations to Northern Star in April 2018 for $80 million, and the sale of its non-core lithium royalties in December 2018 to an investor for $15 million. Westgold managing director Peter Cook called the RNC deal “a sensible transaction” that was mutually beneficial for both companies. 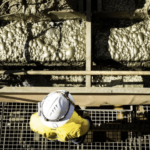 Westgold will maintain exposure to both Higginsville and the highly prospective Beta Hunt mine through its purchase of RNC shares. “The addition of the ‘bonanza grade’ gold discoveries and resource potential at Beta Hunt to the existing operation at Higginsville will provide enhanced gold output at lower costs, as well as security from ownership of substantial plant and infrastructure,” Cook said.